Sudan Human Rights Association: What We Are and What We Do? The Sudan Human Rights Association (SHRA) is a non-profit, non-partisan, and non-governmental organisation registered and operating in Uganda. It was established in 1996 and is concerned with monitoring the situation of refugees in their camps, empowering refugees with the ability to manage the challenges of their human rights situation. It is also advocating for refugees rights to be respected, promoted and defended. 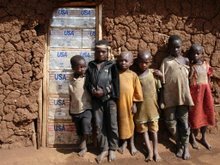 SHRA is, so far, the only organisation in the region that conducts regular monitoring missions to investigate the human rights situation of refugees living in settlements in Uganda, Kenya, and Democratic Republic of Congo (DRC), and the IDP (internally displaced persons) camps in Southern Sudan. SHRA documents the findings and uses them to draw attention to and build public support for the human rights concerns and underlying plight of refugees. The findings are also used for lobbying and advocating for reform and the much-needed improvements in the situation of refugees and displaced persons. 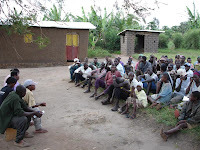 The organisation works to raise the level of human rights awareness among the refugee communities by organising training workshops to sensitise them about their rights and responsibilities and the available means of redress when the rights are violated. SHRA also offers extensive informational counselling, advice, and referral services to refugees both in Kampala and in the field.